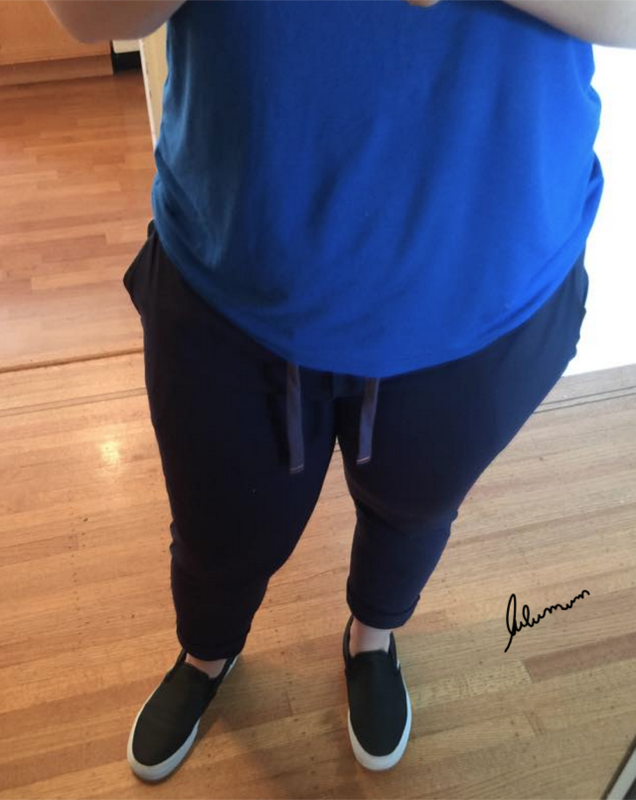 I don’t often do this as a blogger (you’d all hate me if I did) but I’m going to implore you to buy these Jet Crops if you have been a fan of the Jet Crop Luons and the Jet Crop Slims, or have tried the Jet Luons and found then nice but too poofy or ‘almost’ perfect….and if you are a lover of RULU. I tell you this as someone that prefers denim to luon bottoms on casual days. 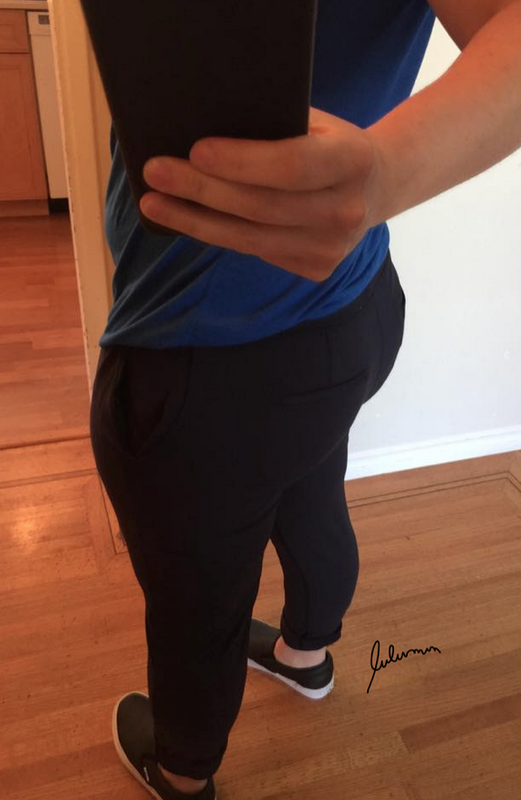 I had ordered them on a whim on upload Tuesday thinking that they would be the same stiff structured trousers as the Jet Crop Slims I got a few months ago which I really like as dress pants. As you can see from my post below this one, I noticed in store today that they are actually made of RULU and not the stiffer structured material. I was slightly disappointed as I expected they’d feel great but look terrible on me and would show my lumps and bumps and look generally schlepy and not tailored. RULU and slim cut didn’t sound like a good combo for me. I should have tried them on in store so I could have told you sooner that these pants are amazing!!! Gosh darn it these are just as tailored as the other slims, have a really amazing drape and look pretty sharp on. AND!!! And, they fixed the back pockets! The old back pockets puffed out on me a bit (fixed by sizing up one) but these are actually stitched closed so you can decide to have them unstitched and opened (useable) or have them stay closed. The side pockets are balanced better too and don’t roll out. I’m going to be wearing these all spring and summer as they are pretty light weight and feel incredibly soft. Actually, since my birthday is coming up shortly, if they release a black pair in RULU I’m going to get those too. *the ones I saw at my store today had a contrast stripe on the pockets, and looked like a lighter navy, probably deep navy. I like these online ones way better as they are dark inkwell and no contrast on the pockets. I also got them and am so glad that I did. They are so soft and look so much better on me than I thought they would. 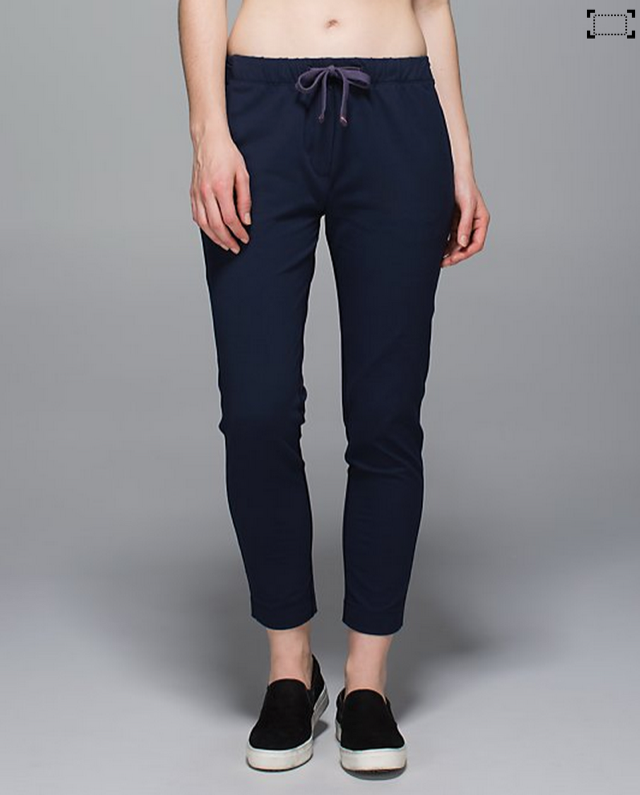 I am usually more of a jeans wearer for casual use too but I think these are pretty awesome. I would love black ones too. 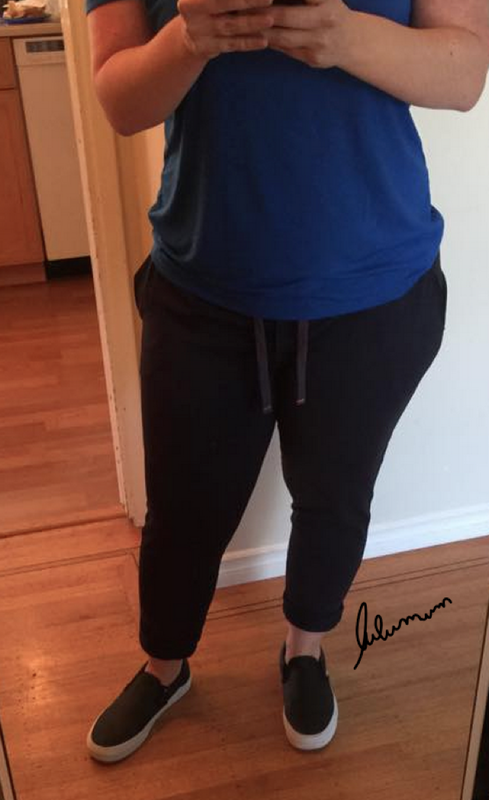 Lulumum, what shoes are you wearing? They are cute and I have been looking for a pair of shoes like this. They are the Vans Classic Slip Ons in perforated leather. Love them! I got them for our trip to vegas since I always end up with blistered and sore feet there and they were perfect. TTS. US doesn't have these yet, correct? 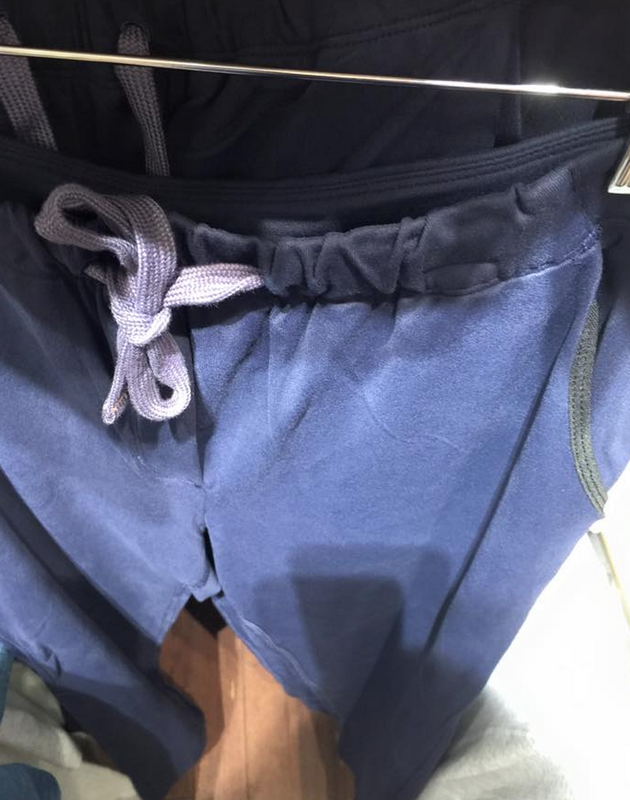 I can't wait until the US gets these…Do they bag out after wearing? That would be my only hesitation in buying them. ps-I think they look amazing on you IMHO. I don't expect they will bag out at all, maybe just relax slightly. So are these different from just the jet crop slims? I tried the jet crop slims in store and felt they were a tiny bit poofy. But if these are different I think I need them. how come they have since disappeared from the online store @lulumum?